Explore the unique countryside of South Australia with your unforgettable Adelaide bike trip. 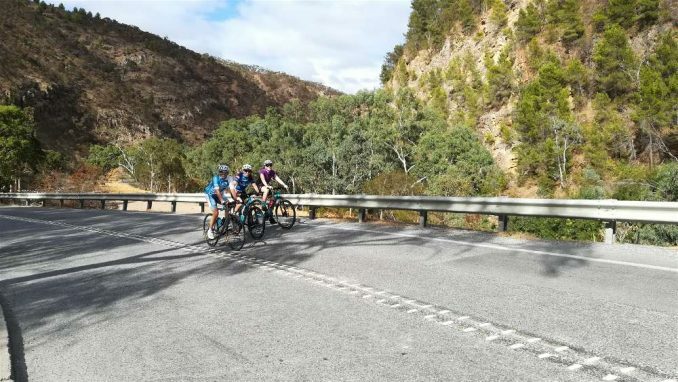 Adelaide is the ideal environment to experience the very best cycling in Australia and at the same time relax and unwind in true ‘Aussie’ style. 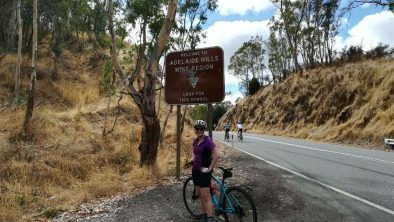 The bike ride options each day surrounding Adelaide are truly unique and take your cycling adventures to new heights only challenged by your own level of fitness. 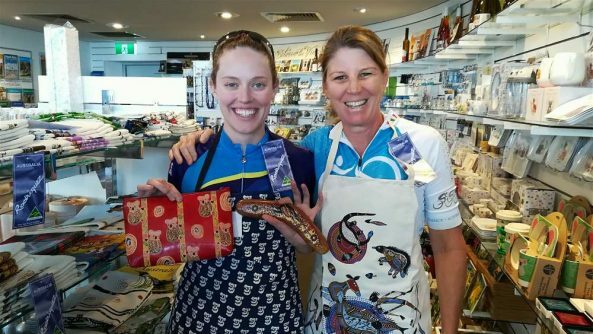 With Adelaide’s gastronomical delights on offer, you are left with a lasting impression and an excellent reward for a day well lived by bike on your Australian cycling holiday. With over 10 years of riding this amazing cycling area and a world of cycling experience available from the team at Practice Bicycle, enjoy the best selection of tailored rides and experience for yourself why Adelaide ranks as our #1 Australian Cycling destination. 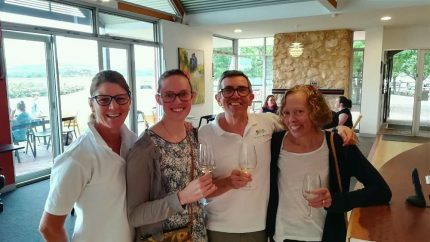 If your time in Australia is not only about great ‘Cycling Down Under’, then it’s highly recommended to include in your itinerary, a visit to one of over 50 wineries around Adelaide. You can take advantage of the many different types of wines produced and even visit the home of Australia’s most famous wine – Penfolds Grange. Looking for warm riding in Europe? Portugal waiting to be discovered amazing bike riding in the ‘Alluring Algarve’ Europe’s secret cycling destination. 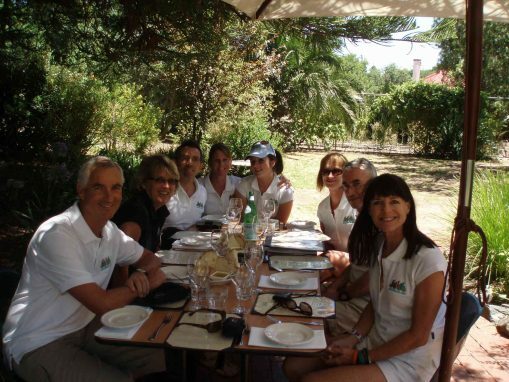 Tour Type Our classic bike trips provide the perfect balance between ‘relaxation’ and 'challenging'. 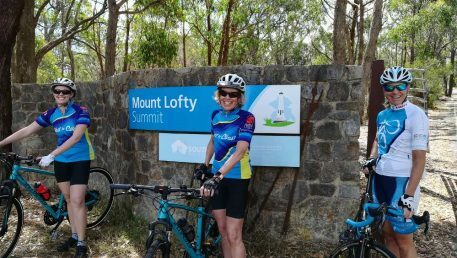 Set in the most beautiful cycling locations in the world, we guarantee you will experience the very best of cycling and travel on our tours of Adelaide South Australia, Annecy French Alps and Algarve Portugal. Activity Level Because our signature tours are always based at a single location with an amazing variety of ride options, we can tailor the routes to meet your riding requirements and abilities. 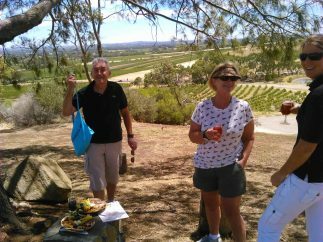 Season Adelaide tours are available during the Australian Summer months. If you have specific travel dates, don't hesitate to contact us about a private tour! 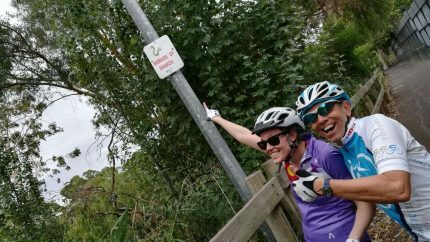 Don’t miss out on an Australian cycling holiday with your partner, just because you do not cycle. We offer a package for those who just want to relax and do a little sight seeing while their partner enjoys the picturesque roads by bike! 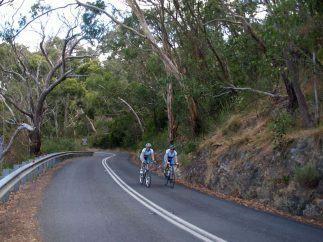 Enjoy the magnificent sight-seeing opportunities of the south coast of Australia and catch up with your cycling partner at regular stops on route together. 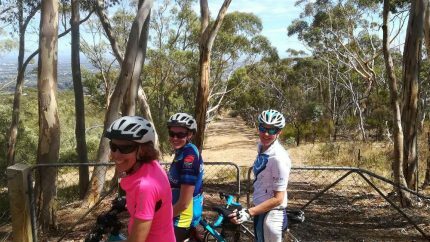 A bike trip in Adelaide with Practice Bicycle is sure to delight both the avid cyclist and traveler! 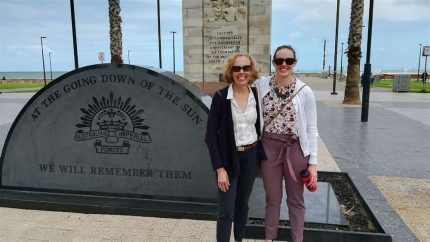 Adelaide, with it's surrounding hills and valleys, is a stunning city with old world charm, outdoor beauty, friendly people and great food, all of which are on the menu for the trip. 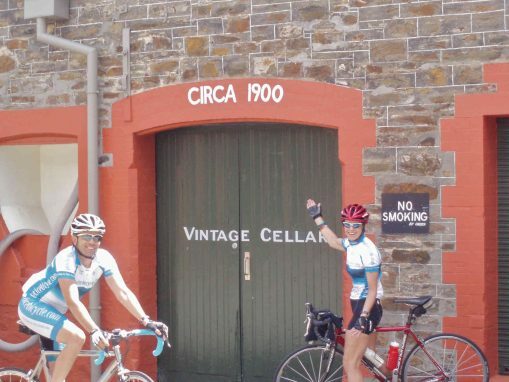 Opportunities to ride to beautiful beaches, and hills and to travel to some of the regions finest wine areas are all part of this delightful tour. 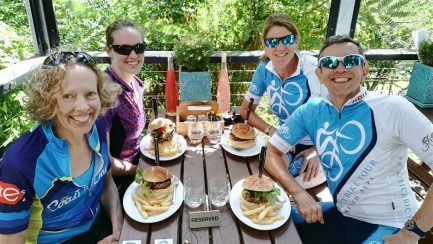 All together superb coaching and riding that is expertly planned to maximize enjoyment and minimize traffic, delectable lunches along the way, great wildlife viewing and great fun with Paul and Bridget & Practice Bicycle! 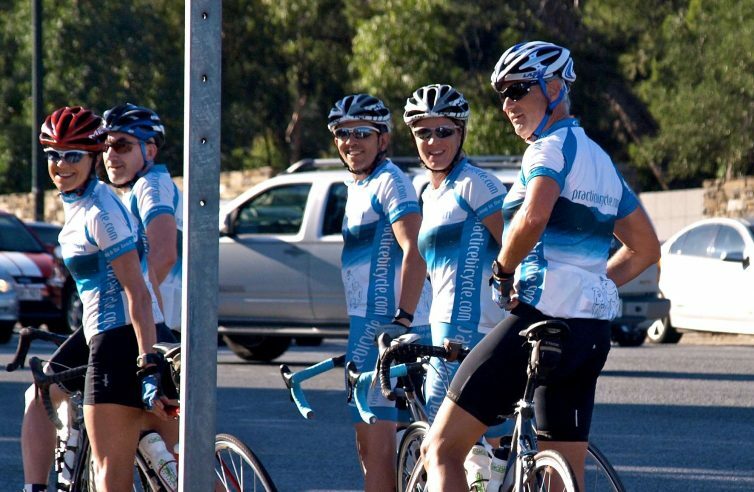 We run our Australia Bike Tours November – March. Below are all our scheduled small-group departures for the Adelaide Bike Trip. To enquire about joining our tours, click the “Enquire Now” button next to the tour date. If you want to travel to Australia on different dates, don’t hesitate to contact us about arranging a private Adelaide Bike Trip! 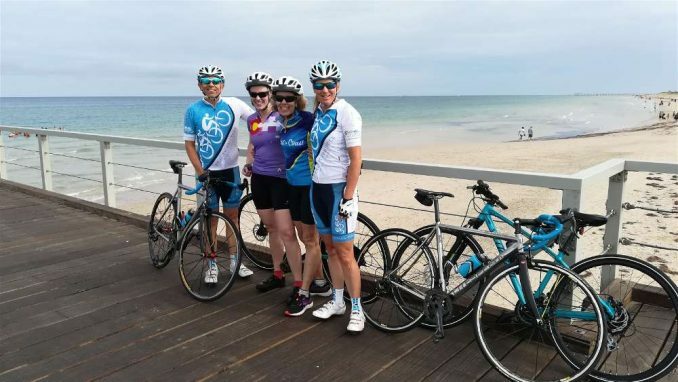 Welcome to Adelaide and our first ride together with a comfortable route across to the coast with a stop at one of our favourite beach side cafes with plenty of time to relax and enjoy the fresh sea breeze before returning to the City Centre. This evening we invite you to join us for Welcome Drinks and Dinner ‘a surprise’ at one of Adelaide’s cosmopolitan Restaurants. Every day of the Adelaide Bike Trip is packed with new cycling routes and new places to see and visit. You start your day with a delicious buffet breakfast, before joining your small group and local host for a few minutes chat about the planned bike ride for the day. 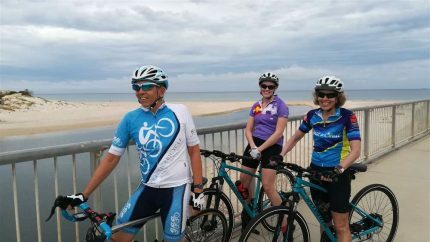 Each cycling route during your Adelaide Bike Trip will be tailored specifically for your bike riding ability and experience, you can have a challenging ride or a comfortable ride, the choice is yours! Sports drinks and nutritional supplies are always on hand to keep the legs turning as well as mechanical and first-aid support for any unforeseen occasion. The Practice Bicycle team have a world of cycling experience available to you, allowing each ride to be perfectly paced so you can appreciate the scenery, take some photos or if you wish to be challenged take on another climb or two! 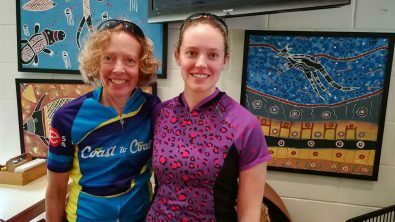 Its been a fantastic week of cycling together in South Australia and all good things must come to an end with today your departure day from Adelaide. Practice Bicycle are available to assist you with packing your bike ready for your onward journey the team will say good bye this morning and transfer you to Adelaide Airport for your midday departure. “Safe Travels” and safe cycling until we Practice Bicycle together again! 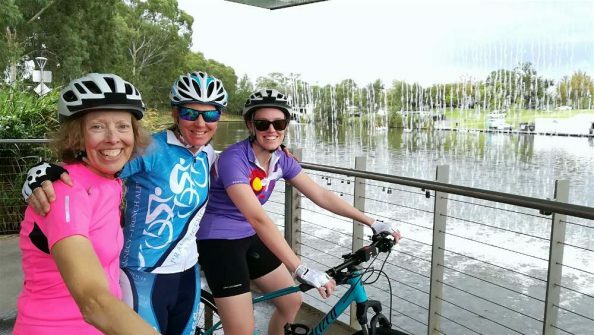 Whether you have years of cycling experience or are just new to the bike, you will love cycling in Adelaide and discovering the amazing rides on offer. We have many years of cycling experience, sharing unique riding with cyclists of all levels. Each cycling route during your Adelaide Bike Trip will be tailored specifically to your bike riding ability and experience, so you can have a comfortable ride or a challenging ride – the choice is yours. All rides start and end in the same place, so there are no targets to make each day and you can not be left behind. 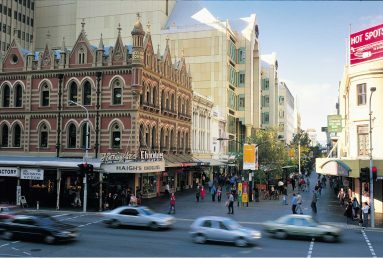 Practice Bicycle includes hand-picked luxury accommodation in the heart of Adelaide City – 4* Majestic Roof Garden Hotel . 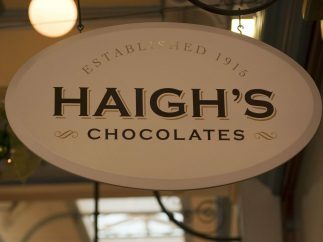 Ideally situated to relax after riding and to explore the delights of Adelaide. Adelaide’s generous boulevards and elegant architecture provide the perfect backdrop for all sorts of activities. No matter what takes your interest, there’s something here for you. Visit the home of Australia’s most famous wine – Penfolds Grange – swim with dolphins in our clear clean waters, cuddle a koala or wander the most beautiful cricket ground in the world, Adelaide Oval. If you want to immerse yourself in South Australia’s rich arts and culture, stroll along North Terrace – Adelaide’s “cultural boulevard.” It is the home of great art collections and some of Australia’s most beautiful buildings. We enjoy a challenge as much as we love cycling. 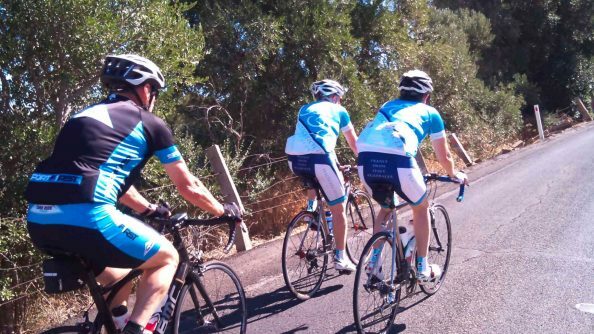 The team at Practice Bicycle has a history in professional bike racing and coaching, so if it’s a challenge you are looking for, we can definitely find just the right rides for you. Putting together the perfect ride week is what sets us apart from the rest! I have already booked accommodation - is the Rides Only for me? 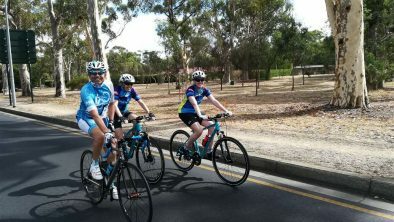 Offering complete flexibility, join us at a central Adelaide meeting point for the best guided rides of your life ‘down under’ including restaurant lunches! 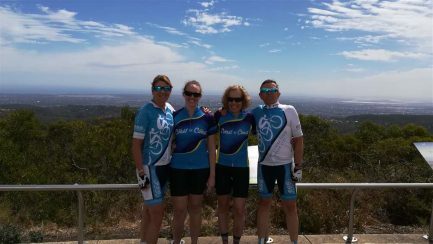 On each of our Adelaide bike tours we tailor the daily rides to the riders cycling experience, the perfect bike riding week . 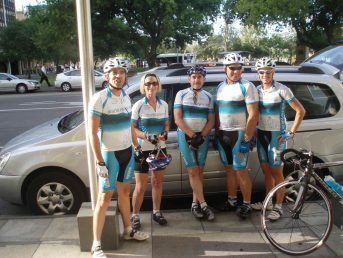 Practice Bicycle has developed over 30 great rides in Adelaide for riders of all levels, show casing the area in all directions. Discovered with over 10 years of cycling in south Australia! View our example rides! 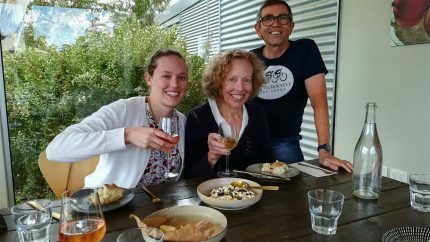 As a Non Cycling guest you experience all the sights & delights of surrounding Adelaide, at a leisurely pace from the comfort of the support vehicle, catching up at regular intervals throughout the day with the cycling group and our off the beaten path Aussie lunch together. 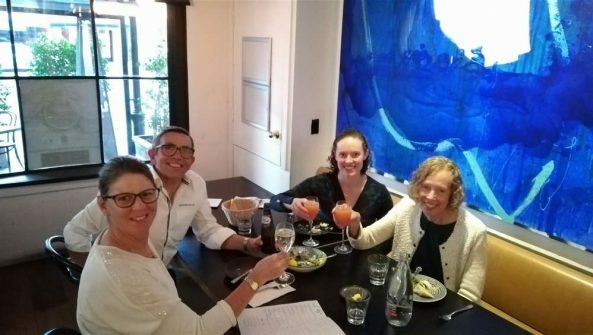 Our local support team will share with you the unique culture and townships of South Australia on route, beyond what any guide book with show you! Support team & vehicle, mechanical assistance and a selection of sports drinks & nutrional bars. Mount Lofty at 727m the highest point in the Mount Lofty Ranges, offering amazing panoramic views of Adelaide City, coast and plains. Adelaide Hills, rugged region East of Adelaide including the former German settlement of Hahndorf village full of great pubs and galleries. Glenelg Beach, soak up the charm of this classic seaside suburb on the shore of Gulf St Vincent. McLaren Vale south of Adelaide a sea of green leafy vineyards on a sun burnt Australian landscape and home to some of the worlds oldest grape vines! Unique small group experience, first class service & lots of fun!